Hi, I wanted this friday to be kind of like a “Follow-Friday”. I am all about supporting others and thought this Friday can be a start to a new series on my blog. Follow Friday’s (pretty cliche name I know) but let’s go with it. BUT FIRST… how adorable is my sweater? I am all about comfort and I love to wear black..A LOT! My friend since new kids on the block days made it for me. Haha. Shes makes all kinds of stuff ! You have to check out her instagram. (click the image below). So now that you have seen my outfit along with my friend Michelle’s Ig who made the lovely sweater. 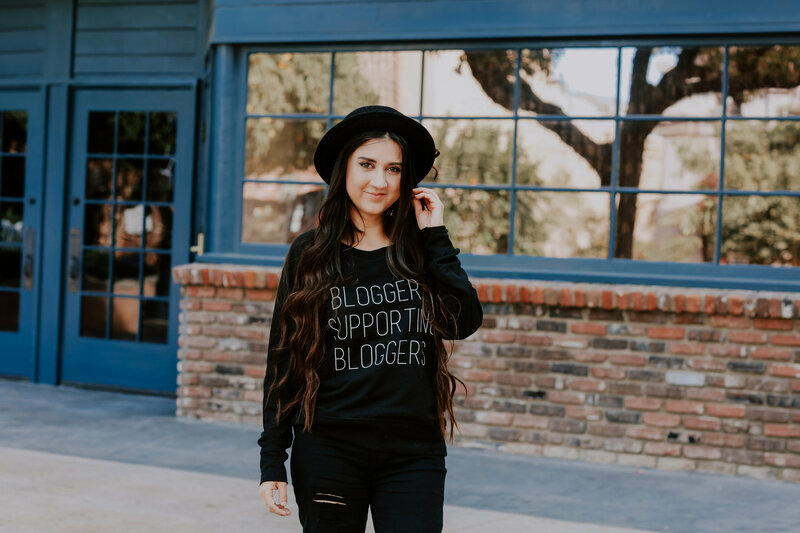 Let’s share some of my Favorite Bloggers at the moment. AWW Wendy! I love her. I actually know wendy and have had lunch with her and she is the sweetest ever. (I was pregnant at that time too) Anyways, her blog is amazing and her sense of style is also amazing. I love all of her outfits and want them all! If you don’t follow her blog or any of her other social media outlets you are missing out. Well those were my top 3 bloggers to follow at the moment and send me over some other bloggers I should check out !